One of the most common reasons for requiring an emergency dentist is cracked, chipped or otherwise broken teeth. The skilled team at Aura Dental in North London have many techniques with which they can restore damaged or broken teeth, and we would always advise you to visit a dental practice as soon as possible after damage occurs. Broken teeth can be extremely painful, but that’s not the only reason to get them fixed as soon as you can. Even small cracks and chips in teeth can allow bacteria to pass into the pulp of the tooth and the root canal system, which can cause infection. If this happens, you will need root canal treatment to get rid of the infection. Without it, a dental abscess could arise and you could eventually lose your tooth. 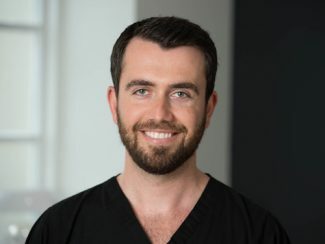 Cracked and broken teeth near the front of your mouth can make you self-conscious about smiling, and at Aura Dental in North London we believe everyone deserves a smile to be proud of. Rough edges to the tooth can also catch your lips, tongue, or cheeks, leading to discomfort. You might find your diet is affected too. This entry was posted in Broken Teeth on 23rd March, 2016 by Aura Dental.